Identify the pieces that need fixing. Pull them from the bunch and set them on a protected surface such as wax paper or a plastic tablecloth. 2. 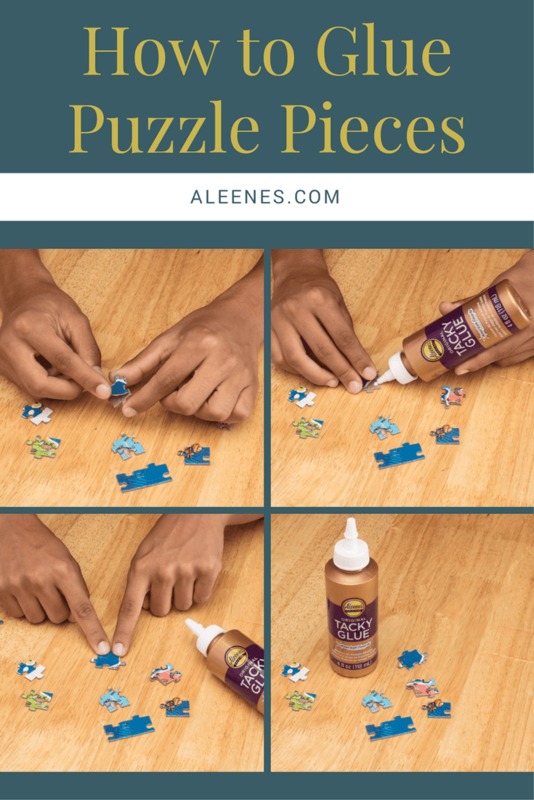 Gently lift the warped paper from the puzzle backing and apply a small amount of Original Tacky Glue to the backing. 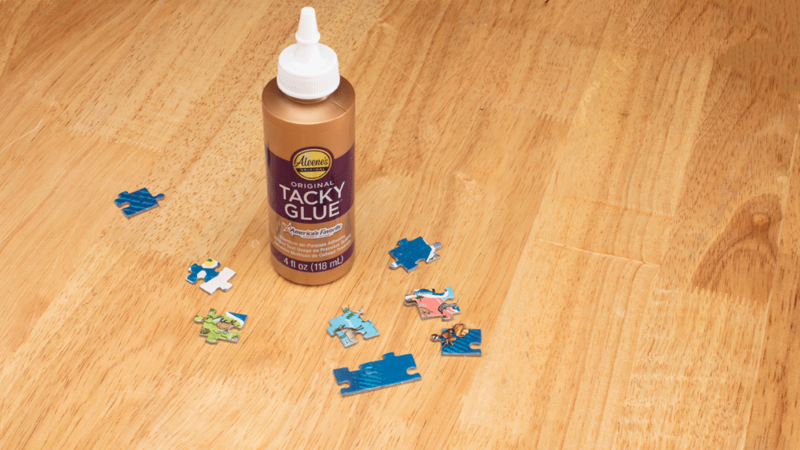 Tip: You can also use a paintbrush to brush Tacky Glue onto the backing in one smooth layer. 3. 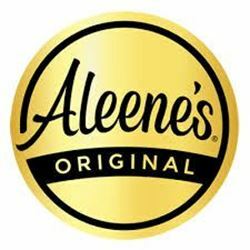 Gently press the paper back in place over the glue and clean up any glue that has pressed out onto the sides with a paper towel. Let dry. 4.Let the pieces set for about 30-40 minutes before using. Have fun with your good-as-new puzzle! 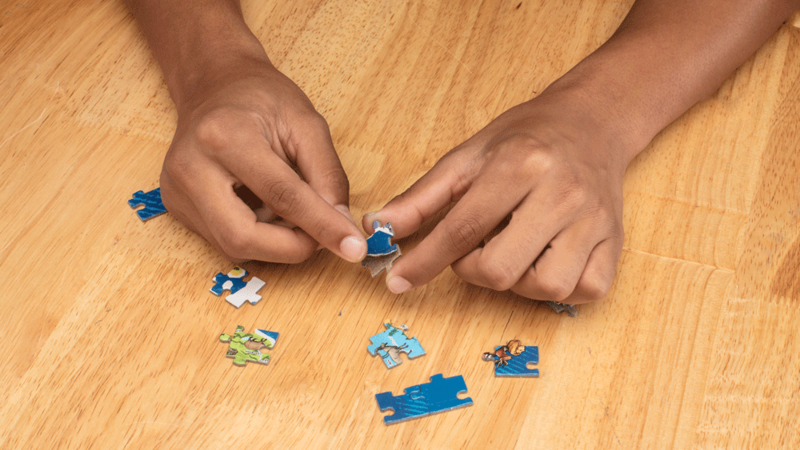 Here’s a fun idea, grab a piece of cardboard that the entire puzzle can fit on. 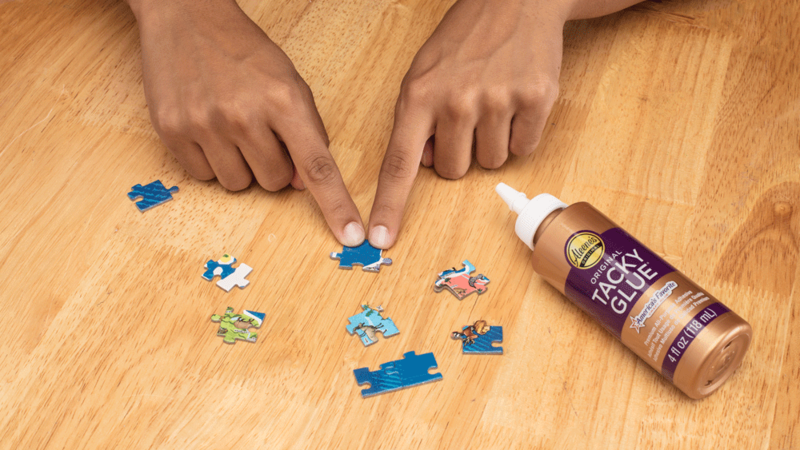 As you’re putting the pieces together, glue them to the cardboard using the Tacky Glue. It can then be hung up or put in a frame and displayed as a cool art piece.